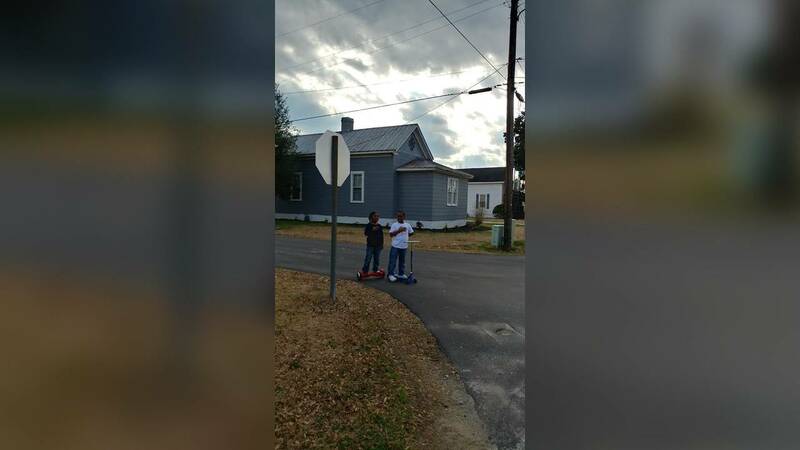 Two boys in Roseboro, North Carolina, stopped in the road and recited the Pledge of Allegiance. The Roseboro Fire Department posted the picture on Friday and it quickly went viral. (CNN) - Folks on Facebook fell in love with two North Carolina boys who recited the Pledge of Allegiance. But it wasn't that they recited it, it's how they did it. Roseboro Fire Department Chief Kenneth Lee Coleman Jr. said Monday the department's chaplain, Bobby Herring, was raising the US flag to full staff Friday when he looked over and saw two boys at an intersection "with hands on their heart saying the pledge."